Isle projects in Trump’s cross-hairs. The Pentagon on Monday identified $12.9 billion in military construction funding — including $452 million for projects in Hawaii — that could be tapped to help build President Donald Trump’s southern border wall. Star-Advertiser. Hawaii weighs first-in-nation plastic bans at restaurants. Hawaii would be the first state in the U.S. to ban most plastics at restaurants under legislation that aims to cut down on waste that pollutes the ocean. Associated Press. Survey supports more funds for public schools, but how to do it remains a question. There’s support for greater investment in Hawaii’s public schools, according to a new survey commissioned by HawaiiKidsCAN. Hawaii News Now. The Battle Over Preschool Puts Hawaii Governor On The Hot Seat. Gov. David Ige’s remarks suggest he believes the statewide school administration, not the office delegated to bolster early learning programs, should be in charge. Civil Beat. Proposed cuts could ‘devastate’ University of Hawaii, officials say. A Senate proposal to slash the University of Hawaii’s budget and eliminate 220 faculty and staff positions is sparking outrage at the university and a flood of calls and emails to the Legislature. Star-Advertiser. Hundreds of UH jobs on the line with proposed budget cuts. UH administrators hope to work with legislators to save jobs. KITV. Proposed legislation would provide funds to open more mobile clinics for Hawaii's homeless. Project Vision Hawaii has seven mobile units statewide that provide medical and hygiene services for the homeless. KITV. Council panel moves vacation rental bill. A bill allowing up to 4,000 new bed-and-breakfast permits to be issued while at the same time strengthening enforcement of residential vacation rentals moved out of the City Council Planning Committee on Monday. Star-Advertiser. The new hire charged with reining in HART’s budget is being paid $85,000 a month. Five months after he was ousted as the head of a Canadian rail project, the Honolulu Authority for Rapid Transportation has hired veteran rail executive Paul Giannelia. Hawaii News Now. City to pay $5.25M in firefighter suit. The city has agreed to pay $5.25 million to settle a federal negligence and wrongful death lawsuit filed over the death of Honolulu firefighter Cliff Rigsbee. Star-Advertiser. Unused vehicles raise spending concerns at EMS. Some workers have complained about specialized vehicles worth hundreds of thousands of dollars, which have never been used. KHON2. Mayor Harry Kim wants more flexibility so he can stretch the general excise tax farther across the county budget. And, so far, the state Legislature is going along. West Hawaii Today. Hilo Farmers Market clears a permit hurdle. The county Planning Department approved one of three permits required to erect permanent canopies over Hilo Farmers Market. Tribune-Herald. Abandoned vehicle disposal costly to county in West Hawaii. Abandoned vehicles are more than eyesores, traffic hazards and general nuisances to the county and the taxpayer. They’re also big business. West Hawaii Today. After Half Century, Endangered Seabird Found On Mauna Kea Again. During the 46th annual meeting of the Pacific Seabird Group on Kauai, Bret Nainoa Mossman with the University of Hawaii at Hilo presented the first documentation of the 'ua'u, or Pterodroma sandwichensis, on Mauna Kea since 1963. Big Island Video News. Meetings will be held next month in all Maui County community plan areas on the proposed fiscal year 2020 budget, Councilmember Keani Rawlins-Fernandez, chair of the council’s Economic Development and Budget Committee, announced today. Maui Now. New Maui Housing Director Announcement Due This Week. Interim Housing and Human Concerns Director William Spence completed his temporary appointment in the department on Friday. Maui Now. Transportation options in South Maui and a road user charge system will be the topic of presentations at the Kihei Community Association’s meeting on Tuesday. Maui News. 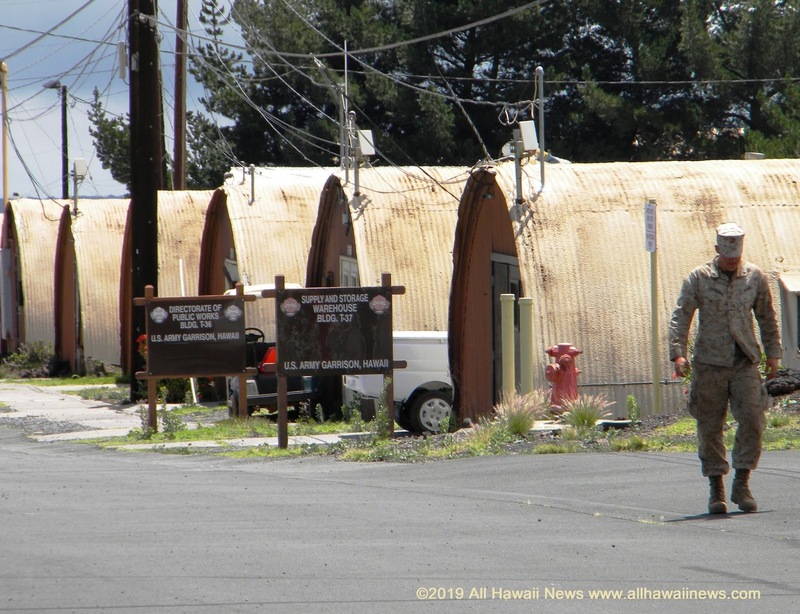 Maui Community Correctional Center assessing riot damage. The Department of Public Safety released photos Monday of the damage caused by inmates during the riot at Maui Community Correctional Center. Star-Advertiser. 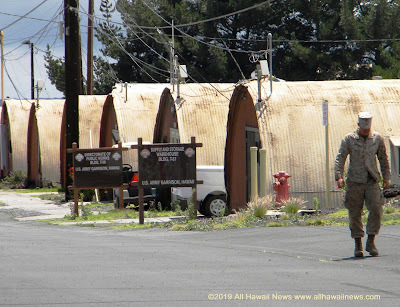 Armed Perimeter Remains at Maui Jail, Mood Has “Calmed”. Maui Now. A week after a riot at MCCC, crews are still working to clean up the mess. On Monday, the state released new images from inside MCCC. Hawaii News Now. The maintenance staff at the Maui Community Correctional Center continue to clean up and repair the damage left behind by last week's riot. KHON2. The median sales price for single-family homes and condominiums in Maui County spiked in February while the number of sales and inventory continued to decline. Maui News. Police look to improve efficiency. The Kauai Police Department on Monday launched its Online Crime Reporting System, offering the public a new way to submit a police report. Garden Island. Kauai Police Department Launches New Online Crime Reporting System. The new website aims to make filing a non-emergency police report easier and more convenient for residents. Hawaii Public Radio.